Mickey Mouse and China’s richest man don’t need to get into a theme park punch-up. Disney is poised to open a $5.5 billion Shanghai park while Wang Jianlin’s Wanda Group is opening a string of cheaper attractions in smaller cities. Wang vows to stop the U.S. entertainment giant turning a profit for decades and says it should not have come to China. But despite Wanda’s fighting talk, both can thrive. Wanda’s parks lack the lure of Mickey Mouse, Donald Duck or Frozen’s Princess Elsa, instead offering Chinese-themed attractions with little or no brand recognition. So Wang is shrewd to talk up the rivalry and garner valuable column inches. But the competition is illusory, because the two largely serve different markets. A Saturday ticket to Shanghai Disneyland costs about 500 yuan ($76) while Wanda Cultural Tourism City in the inland city of Nanchang costs around half that. And Disney has deliberately kept prices high to avoid overcrowding. 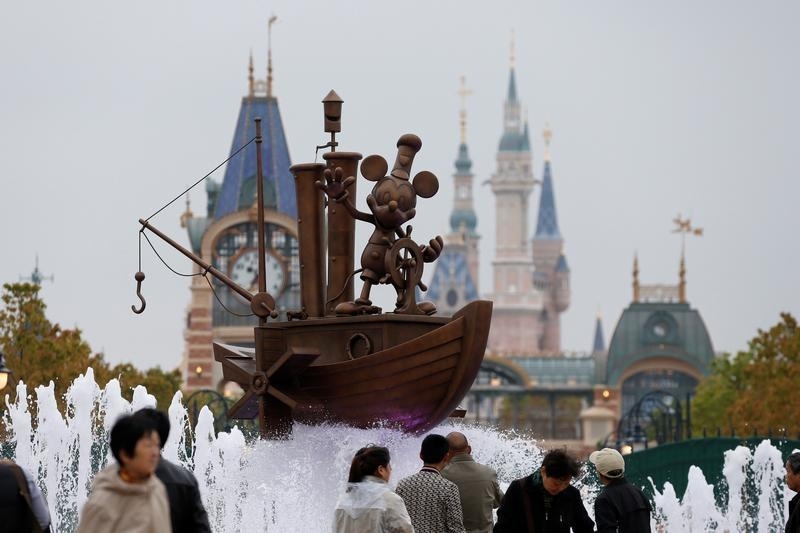 So Disney’s park will lure well-heeled Beijing and Shanghai families. What is more, urban Chinese from big cities look down on their provincial cousins and most will not take cut-price outings to backwaters like Nanchang. Meanwhile, Wang offers thrills to consumers in smaller cities like Hefei and Harbin where there are few other attractions. The overlap is also limited because day trippers everywhere don’t want to travel more than two to three hours away, says analyst Richard Huang at Nomura. In recent years, domestic tourism and other kinds of entertainment have been among the fastest-growing parts of the economy, even as China’s overall growth has slowed. Revenues from domestic tourism grew 13 percent to 3.4 trillion yuan last year, official statistics show, putting the industry on track to meet state goals for revenues of 5.5 trillion yuan by 2020. Chinese people spend just $3 per head a year on theme parks, compared with $58 in the United States, according to Huang at Nomura. With so much room still to grow, there ought to be fun for all the family. Disney will open the doors of its $5.5 billion Shanghai theme park on June 16. Chinese rival Wanda Group opened a 22 billion yuan ($3.4 billion) theme park in Nanchang, a city in the eastern Chinese province of Jiangxi, on May 28. Wanda Chairman Wang Jianlin has said Wanda wants to ensure Disney cannot make a profit for 10 to 20 years and will lure visitors to a string of smaller theme parks with lower price points.